When I develop websites for people, I exclusively use the WordPress platform on 1and1 servers. Two years ago I built a simple one page website for a company without the power of WordPress and I regrettably wasted many hours of coding unnecessarily. I won’t make that mistake again. Wordpress saves me time and brings a ton of extra features for free. Normally I use free themes for WordPress. This keeps my costs limited to domain names and servers. Last year I paid for three different premium themes and it was totally worth it. I bought Avada for $58, X Theme for $63, and Vantage for $20. Each was highly rated and at the top of some list at some point. After playing with each for different projects, I have a new favorite that I have used multiple times. Vantage Free is nice, but to get a proper mobile menu you need to pay for the premium version. This is what I did. SiteOrigin has a ‘Pay what you want’ sales method ranging from about $10-50 in 5 and 10 dollar increments. 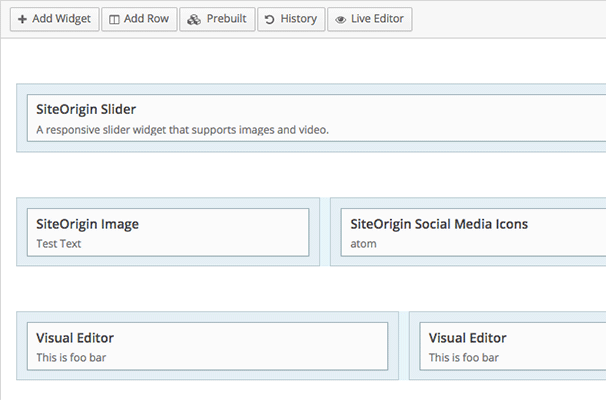 There are two main reasons why Vantage Premium is my new favorite: Sticky floating menu and PageBuilder. The sticky menu allows your menu to always remain anchored to the top of the browser and lets the page slide under it as your visitors scroll. This keeps your brand and navigation always visible. 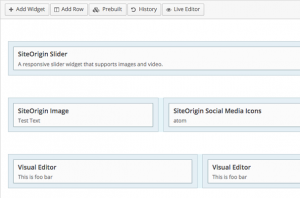 The PageBuilding feature from SiteOrigin allows you to quickly layout any page with rows and columns and then add widgets or short codes in each section. It makes a super complex layout very easy to produce in a short amount of time. Posted in Design and tagged Graphics, Mobile.